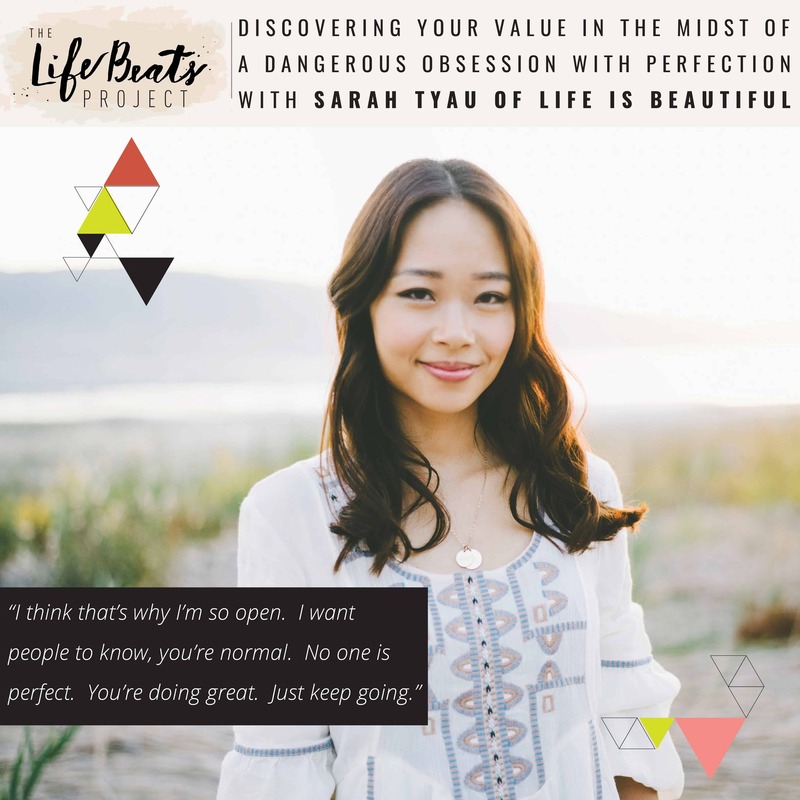 Today Sarah Tyau, blogger and YouTuber at Life is Beautiful, openly shares her battle with an eating disorder and self-loathing that originated with her lack of self-confidence and her desire for a perfectionism that is impossible to attain. She begins by sharing her experience of growing up as a minority and the positive and negative effects that had on her confidence. She shares a series of circumstances and events that contributed to her struggling unhealthy mindset about the way she looked, including the misinterpreted words from friends, the lack of knowledge on the development of a young girls’ body, and the comments of a college boyfriend that led her to become obsessed with losing 7 pounds. Sarah shares the night her eating disorder began as she sat in a Wendy’s parking lot and force fed herself as a punishment for ‘being so fat’. She shares her darkest moments and how through coming to know her worth through God she was able to finally experience hope and change through forgetting herself and serving others. She passionately shares the message that you are of worth not because of what you look like or what race you are, but simply because ‘you are’, ‘you exist’, ‘you have infinite value’. She openly shares her continued struggle with a pattern of perfectionism and an ‘all or nothing’ mindset. I love how honest she is to quickly tell us that she doesn’t have it all figured out, that this is an ongoing struggle. She explains her reasoning for being so open on her blog and social media is so that no one will ever feel alone and know that their feelings of overwhelm and struggle are normal. Listen and be ready to take a hard look at the patterns in your life and the way you view yourself, and see if they are leading to a healthy or unhealthy self-image. Be inspired to serve others as a means to see your own value. Want to know if this episode it for you? This episode is perfect for someone who struggles with the pursuit of perfectionism and an “all or nothing” mindset. It is also perfect for someone who may suffer from an eating disorder or looking to understand the pattern of thinking from someone suffering from one. It will also a great episode for a mother who struggles with getting burnt out.